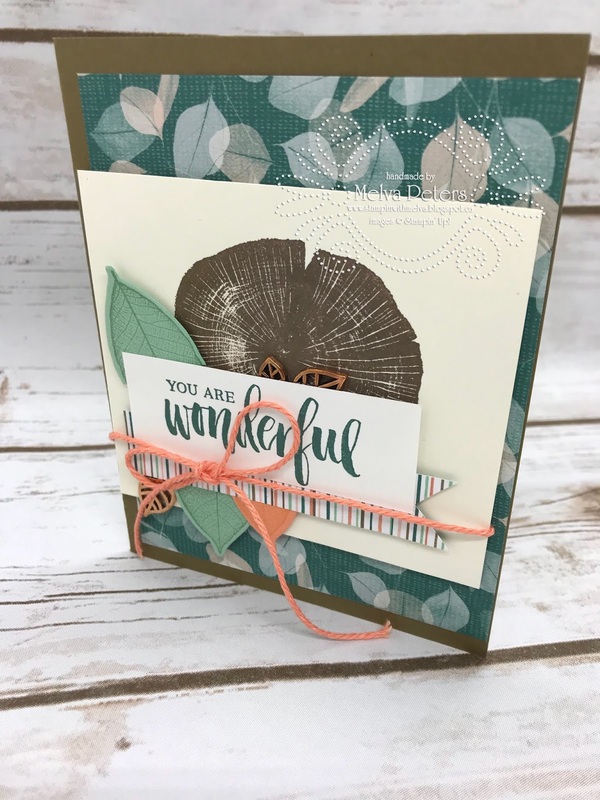 Stamp with Melva: Nature's Poem - Another Sneak Peek! Today's card features the Nature's Poem Suite in the new Stampin' Up! Annual Catalogue which will be available starting June 1st. We had a chance to play with this suite at the Onstage event in April and made this card. So many images to stamp and also cut out using the coordinating Nature's Roots Framelits. The leaves trinkets are hard to see on the card, but the are amazing! You are going to love this suite! Don't forget the Share What you Love pre-order bundles that are also available as a pre-release until May 31st! If you have order from me in the last year, you should have received your new catalogue in the mail (or you will receive it by May 31st). If you haven't received it by then, please email me and I'll get one out to you! If you haven't placed an order and want a catalogue, you can pick one up at my Catalogue Launch party on June 9th in Ladysmith, BC or email me and I'll send you one.